In a Nutshell: More than 1.1 million borrowers defaulted on their student loans in 2016 alone. While a sluggish job market caused some of those defaults, many of the issues stem from borrowers lacking the knowledge needed to prepare for repayment when they apply for loans. Discover Student Loans recently conducted a national online survey of 2,015 students, former students, and parents in the US to determine their perceptions on repaying student loans and the impact of repayment on finances and lifestyle choices. The study found the level of concern is greater among former students than current students, with 60% of former students expressing concern that their loan repayments will cause them to work extra jobs to make ends meet. Sure, the speaker could have been a little more gentle, but sometimes a quick dose of reality is more impactful than a half-hour of fluff. More and more graduates are starting to understand that adult life is far different than their college years. 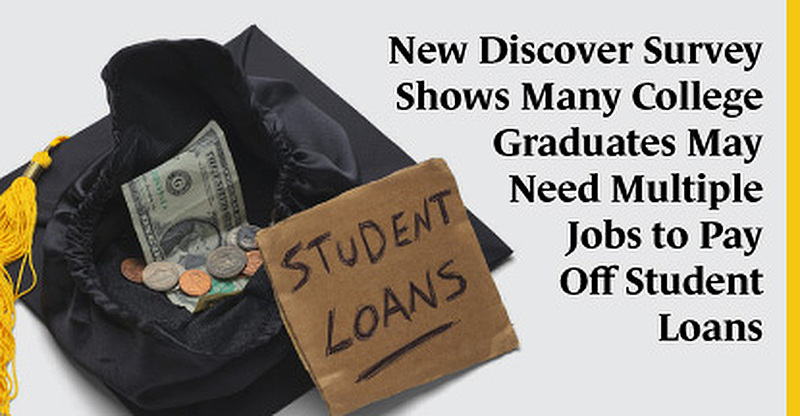 Finding a job can be tough at times, and those new grown-up paychecks don’t look as great when the first student loan bill comes in the mail. Discover Student Loans recently conducted a national online survey of 2,015 students, former students, and parents in the US to determine their perceptions on repaying student loans and the impact of repayment on finances and lifestyle choices. The study found that 60% of former college students who are currently repaying student loans feel their loan repayments will force them to work extra jobs to make ends meet. In addition to working extra jobs, 59% of former college students — identified as those aged 24 to 28 — reported concern about having to give up fun activities to afford their student loan payments, while only 26% of students still in college or recently graduated (ages 18 to 24) felt the same way. While some parents save for their child’s college expenses, the money isn’t always enough to cover the ever-rising cost of higher education. Straub said parents should be transparent with what they can contribute financially before the application process begins. Discover Student Loans has many free online resources, from tips on evaluating loan options and keeping college costs down, to calculators that can help estimate how much a family may need to borrow. Despite the availability of tools to increase preparedness, more than 1.1 million borrowers defaulted on their student loans in 2016. That equals approximately 3,000 defaults each day. According to Chelsee Spencer, Financial Wellness Expert at GreenPath, a financial counseling firm, the results of the survey aren’t different from what she sees every day. Spencer suggested that parents get an early start on college savings for their children by reviewing the College Preparedness Checklist provided by the US Department of Education when their child is young. Discover’s survey found that former students express more concern about the impact of their student loan debt than current students. Approximately 53% of former students and 54% of current or recently graduated students said they completely or somewhat understand how to budget their student loan payments alongside other expenses. However, the survey also showed that 60% of former college students who are currently repaying student loans have the concern that their student loan repayments will cause them to work extra jobs to make ends meet, while only 30% of students still in college or recently graduated shared this concern. Straub said parents should use the opportunity to talk with their child about what to expect, especially since they can help students understand financial responsibility and how debt and repayment works. Spencer said the conversation should also include a search for alternative methods for minimizing higher education costs. While graduations are a time for reflecting on your journey to adulthood, the parties and other celebrations should also lead to an opportunity to prepare for your next stage of life. Straub noted that making smaller payments during the deferment period or before the first repayment bill is due will be helpful in the long run by reducing both the time it takes to repay the loan and its total cost. For some graduates, refinancing their student loans can reduce their interest rate and monthly payment, which will allow them to use those funds for other expenses or to put them into a savings or investment account. 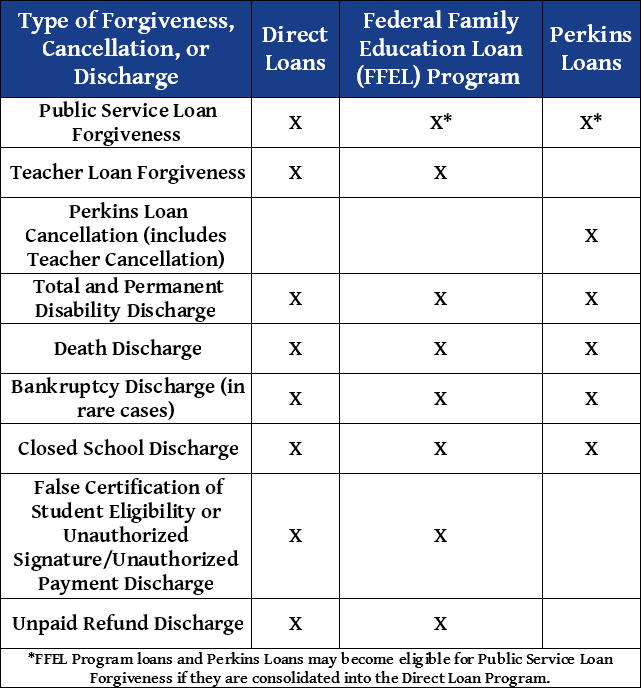 Before refinancing loans, though, keep in mind that moving from a federal loan to a private lender can disqualify you from taking advantage of certain repayment options, like the income-driven repayment plans offered on federal loans, or student loan forgiveness options offered when a graduate works in certain public service fields. Discover Student Loans provides helpful information on evaluating student loan options and how making in-school payments can affect your overall loan cost. Across America, millions of former college students are struggling to find ways to repay their student loans. While more than 1 million borrowers default on their loans each year, just as many find alternate ways to make their loans more affordable. Some students may also be able to refinance their student loans to reduce their interest rate and monthly payment. Spencer said that GreenPath clients often take advantage of these options to gain better control of their financial wellness. Spencer said each student’s repayment options will vary on a case-by-case basis. The organization’s counselors typically reach out to the servicer of the loan to see what options may be available to help the borrower. Additionally, depending on your career and employer, Spencer noted that some borrowers may qualify for the federal government’s Public Service Loan Forgiveness Program. GreenPath recommends that people tracking for the forgiveness plan to opt for the income-driven repayment option for the 120 required payments.